Eat your veggies! 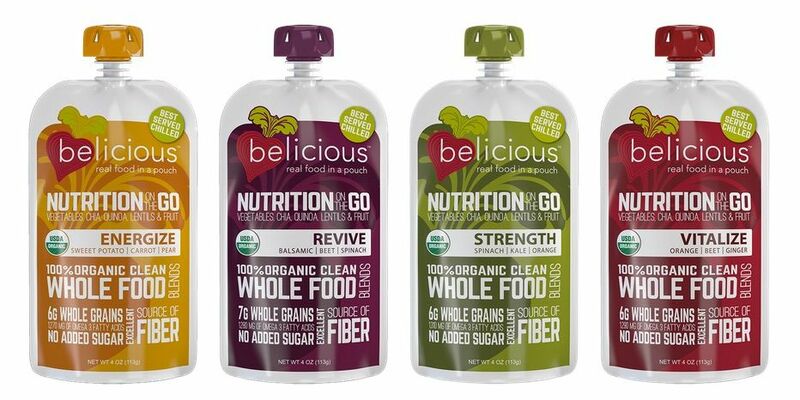 Now you can with belicious, an on-the-go way to get those essential nutrients in. Though they look like those regular juice packs with a convenient resealable cap, there’s a big difference; it’s not juice, it’s the real thing. They start with fresh, unprocessed, organic produce, whole grains, rich broth, and juices, picked for their anti-inflammatory properties and low glycemic index. There are no artificial ingredients, GMOs, sweeteners, preservatives, wheat, dairy, or nuts, and they’re vegan-friendly. Choose from 4 blends designed to meet specific needs: Energize (sweet potato, carrot, pear), Revive (balsamic, beet, spinach), Strength (spinach, kale, orange), and Vitalize (orange, beet, ginger). With a good amount of fiber and protein, they’ll provide you with sustainable energy for all your TrailblazerGirl activities. As they say, “convenient real nutrition”, and we say, have at it with these handy, portable, healthy pouches!